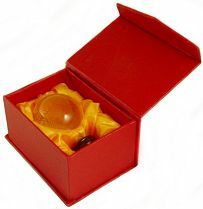 April Birthstone - 8 Sizes 2" to 8"
Flawless, optically pure Reconstituted Quartz Crystal Balls with no bubbles or swirls. The classic clear crystal ball is very traditional and timeless in its beauty. 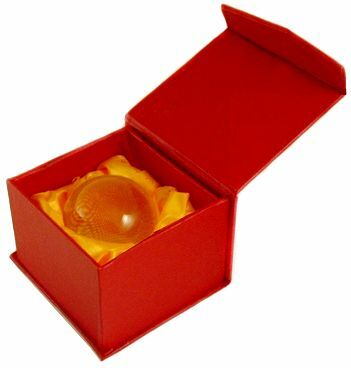 Who can explain the ancient mysterious attraction to crystal balls. Perfect for scrying by allowing the intuitive subconscious to communicate its marvelous revelations or just to dazzle as an unusual decorative piece. 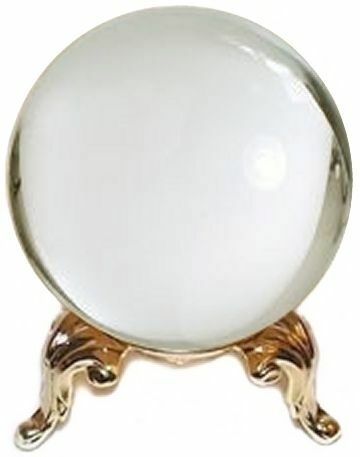 50mm Crystal ball seen with Princess Gold Plated Stand sold separately, just $4.50. For 110mm or larger crystal balls we recommend the King George 3" Stand or Ornate Antique Stand on sale separately, now $12.95 and up.